The word arthritis means inflammation of a joint. There are many different types of arthritis of which the most common are Osteoarthritis (OA) and Rheumatoid Arthritis (Rh.A or RA). 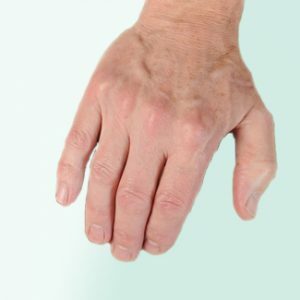 OA usually affects the larger weight bearing joints like the spine, hips, knees etc., but can be found in smaller joints such as the ends of the fingers, wrists, toes, or even the jaw. The problem is usually noticed in just one or two joints initially. It is important that the distinction between these two conditions is fully understood, as the treatment and prognosis for each are very different. Painkillers are not the only solution to the aches and pains associated with arthritis. For longer lasting relief it is necessary to treat the underlying causes of pain, a job for which the osteopath is specifically trained. Osteopathic treatment is aimed at improving the range of pain free movement. In many cases tight muscles surrounding the affected joint exacerbate the pain. Easing this tightness can substantially relieve the discomfort. The pain caused by local inflammation is often helped by massage and electrotherapy such as Ultrasound. Obviously the condition can sometimes be so far advanced that you may require surgery and, if so, your Osteopath will suggest that you talk to your G.P. If you suffer pain in any of your joints that is getting you down call us today on 01707 655514, see if we can help. Or book a free 15 minute consultation to talk about your options.